Many events at the Ute Theater are General Admission, where a ticket does not necessarily guarantee a seat with standing room and a dance floor. 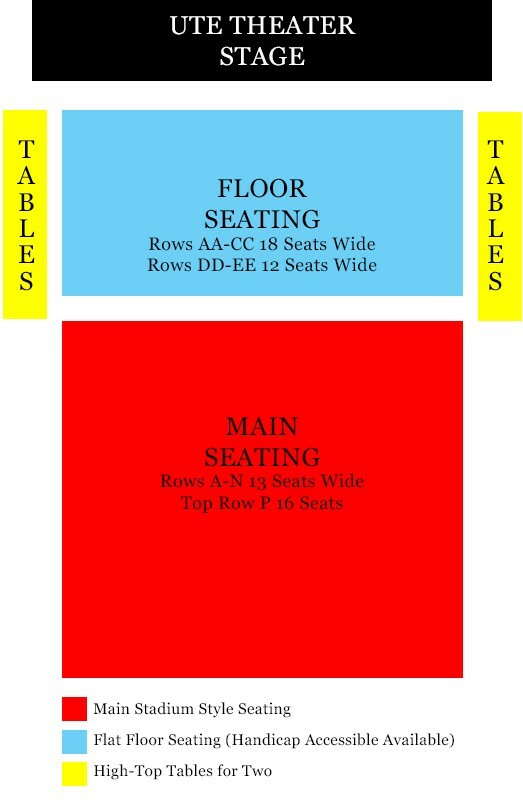 There are a few seating options for Reserved Ticket events. Please check the event description for more information. 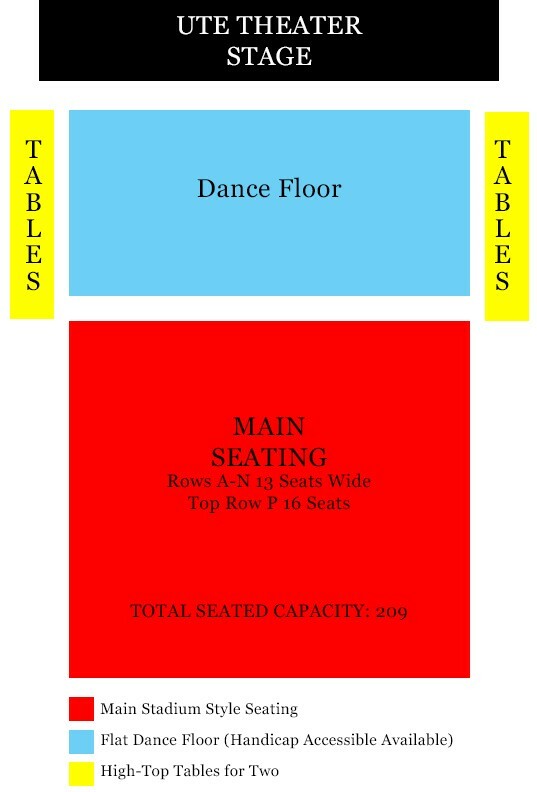 As a general rule, a fully reserved seated show would be set up like the diagram below. Every show at the theater is handicap accessible and non-smoking. If you need a wheel chair accessible seat, please contact Wayne 970-665-6569 at the theater before the day of the event. The theater is generally open weekdays from 10-2 so stop in if you want a visual or a tour!